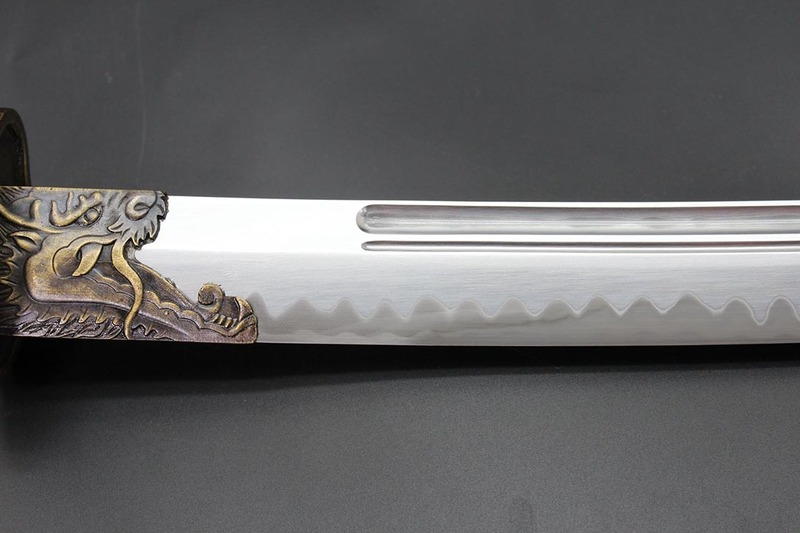 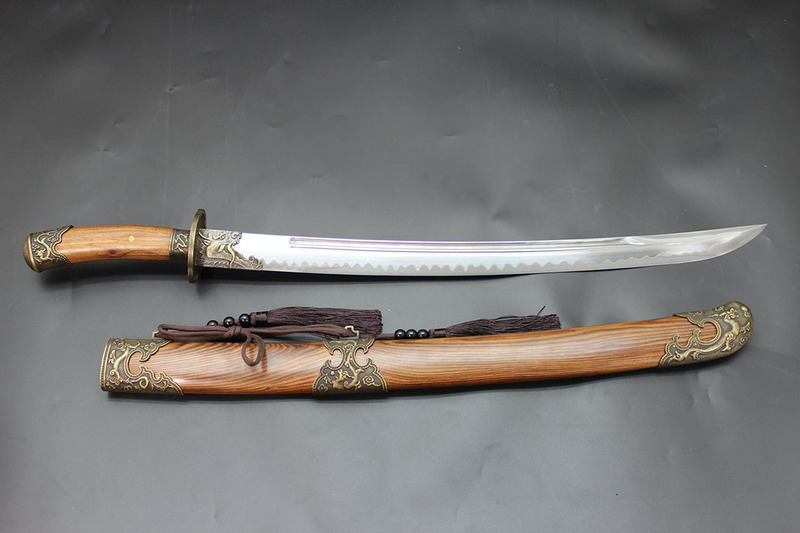 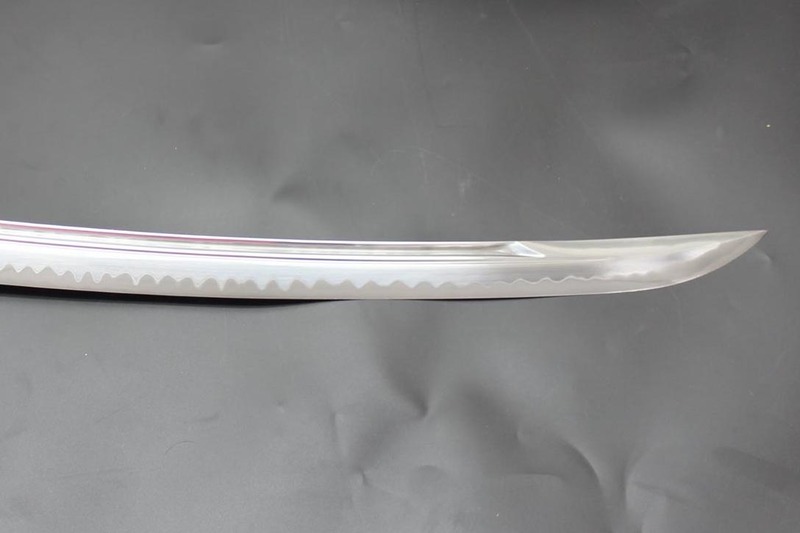 The Forge Direct Laminated Duan Dao is one of the most unique and revolutionary swords ever produced - utilizing the purity of modern steel to create a blade with a hard edge and shock resistant spine and core in a way that the ancient smith could have only ever dreamed of.. 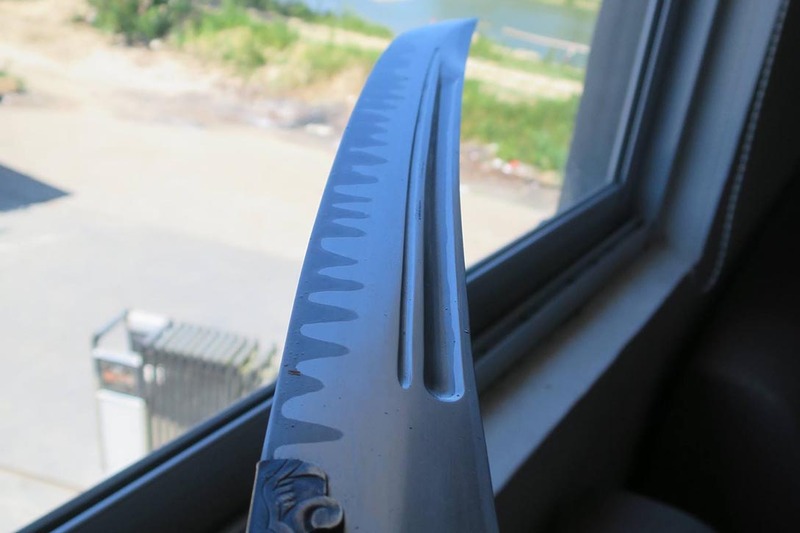 The wild pattern on the steel is created through metal extraction. 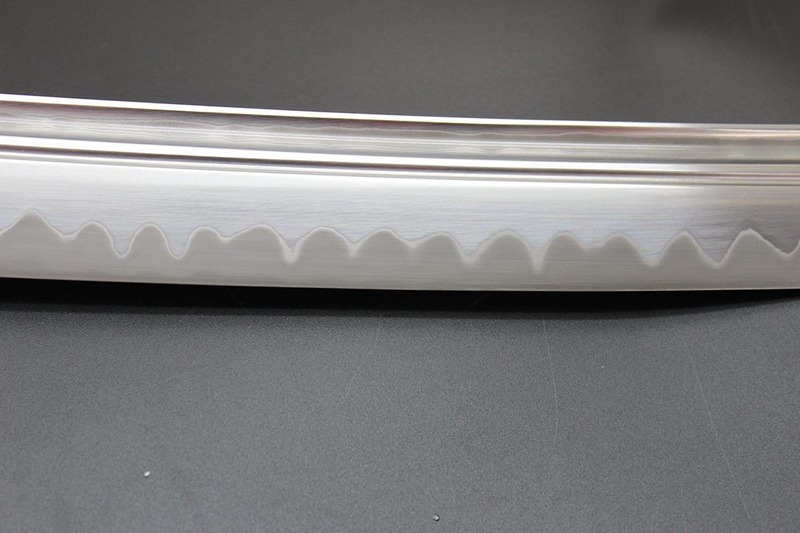 It's achieved by grinding through the jacket layer of 1065 steel until the middle layer of T-10 is reached. 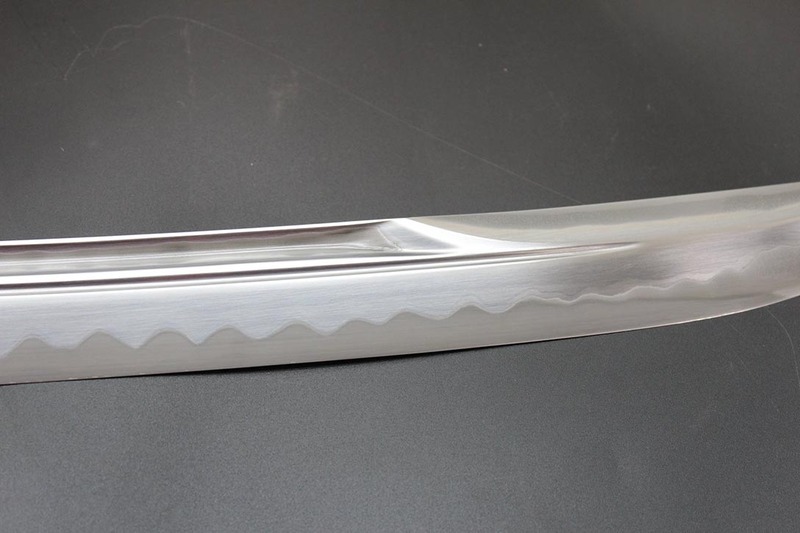 The color of the steel is the natural unpolished look of the steel. 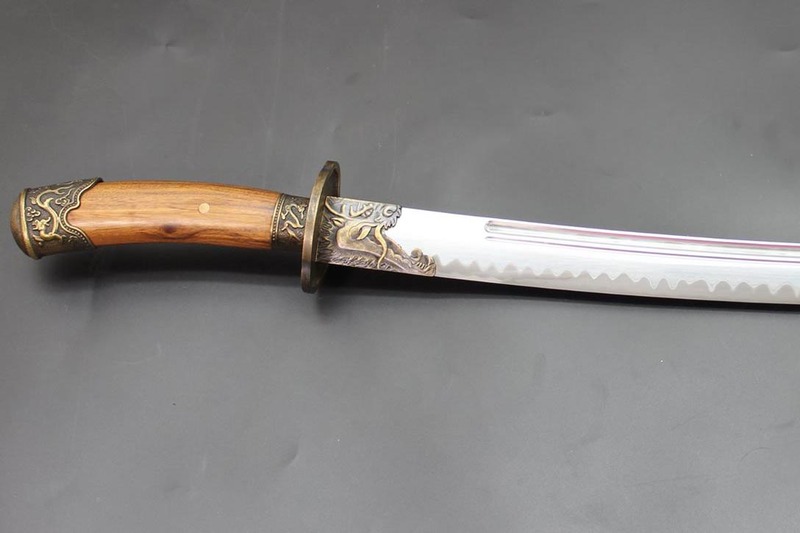 Master Smith Hand Forged, Laminated (1065, T-10, 1045, T-10, 1065) and Sharpened blade. 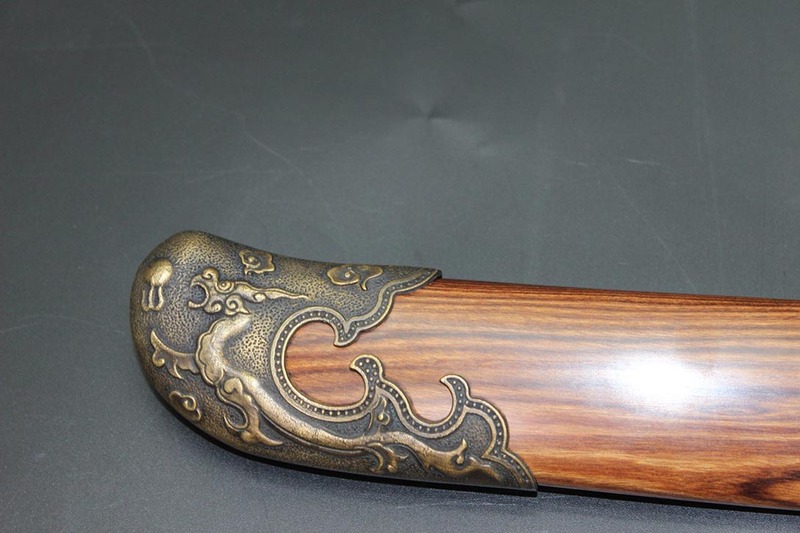 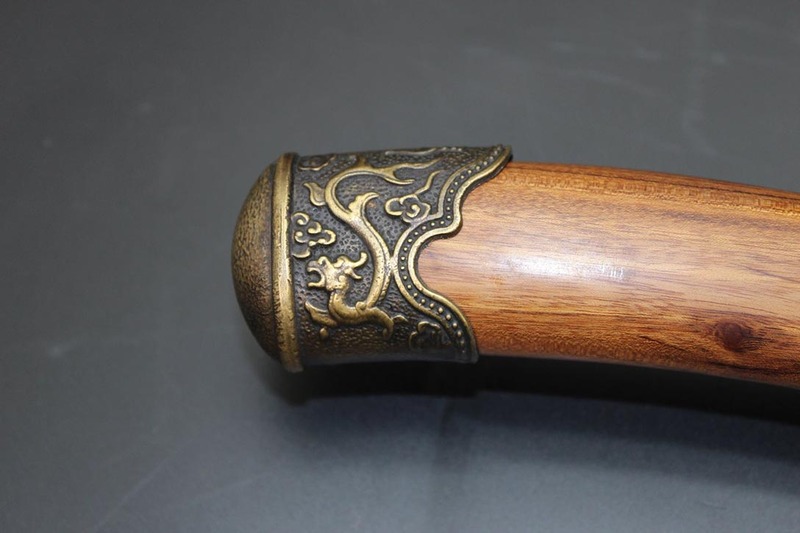 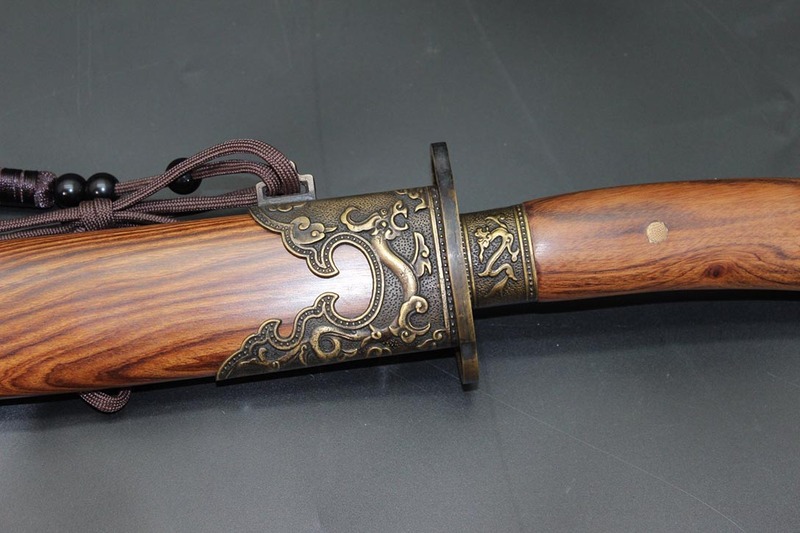 Rosewood handle and scabbard with brass fittings.